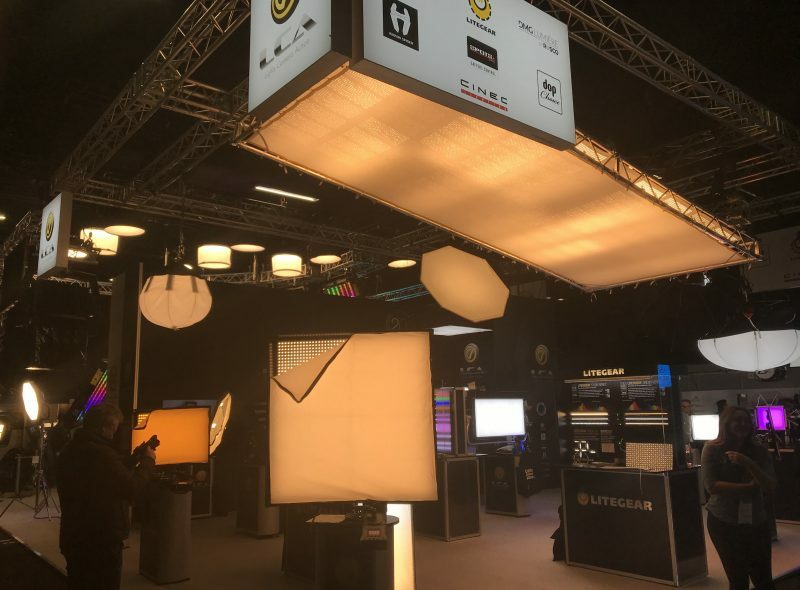 The Greenkit team had a great time at BSC Expo 2019. 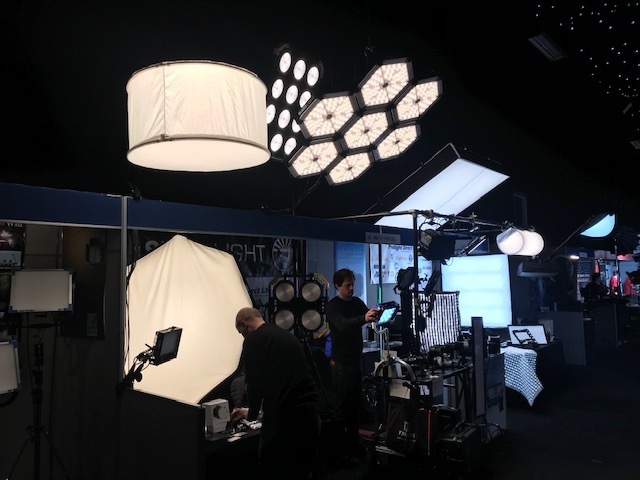 This year we gave our friends at Carpetlight, some stands to show off their 4×4, 8×4 and 8×8 fixtures. We’re big fans of these super bright, truly flexible lights. We’re very excited to soon have a 4×4 to add to our Carpetino and CL42 models. If you haven’t already seen these in action, please come and have a look. Everyone who has worked with them so far has been really impressed. We’re longtime fans of the Litemat series, and our current range extends from the Litemat 1 to a Litemat 4 Plus. We know they’re also favourites with our customers. On the LCA stand, we had a close look at the impressive Litemat 8, the biggest one yet. This has a nifty new feature – you can split the light in half and just power half of the surface area if you need a smaller light source. These lights are getting better all the time. It’s good to see that Litegear continue to innovate with these products and don’t take their popularity for granted. I caught up with Pat Grosswendt, Lighting Director and co-founder of Litepanels to chat about the Gemini. These colour changing lights are a real game changer, and we’re really pleased that our customers agree. Anything we can do to cut down the use of gels is going to save time, cost, and the environment, which is good for everyone. On the Octica stand at BSC Expo 2019 Spencer showed us the new Fomex rollable flexilite. This is the next step on from the ever popular Fomex flexilite panels that we already stock and we can’t wait to have a closer look at this and put it through its paces. I ducked into the talk by Peter Suschitzky, Haris Zambarloukos BSC, GSC and Jake Polonsky BSC and their gaffers Julian White and Shaun Mone. Jake and Shaun were talking about the lighting challenges on Bandersnatch.If you haven’t seen this mind-bending Black Mirror episode you’re in for a treat! There were also some really great add-ons which are going to make lights we already stock even more useful. The Exalux dimming system and the new diffuser for the LedZep both look to be very handy additions on set. It’s always good to see the innovative power options for Hawkwood batteries. We’re always on the look out for really reliable, robust battery systems that can run our lights for longer and Hawkwood are great innovators in this regard. We’ve had the Stella Pro lights for quite a while now and we love their flexibility and punch. It’s good to see that Light and Motion have taken customer feedback onboard and developed a new Barn door system for the range. These are going to hold the lens and globe in place much more easily and we’ll be investing in some to upgrade our Stella Pro 5000, 7000 and 10000 lights. There was also a new range of softboxes on the stand which we had a play with and will be having a closer look at. BSC Expo is always a favourite for us – a chance to play with lots of shiny new kit and to catch up with friends old and new over pad thai! If you didn’t make it and you’d like to catch up with us, and test out any of our lights or recommend something we’ve missed, please do get in touch.